Nakkas co-founders Cengiz Korkmaz and Cengiz Kara. All photos courtesy of Nakkas. A trip to Istanbul wouldn't be complete without buying a Turkish rug or two. is home to an incredible collection of more than 20,000 handwoven Turkish carpets and kilims. Co-owners Cengiz Korkmaz and Cengiz Kara (Yes, they're business partners with the same first name. Isn't it great when things turn out that way?) stopped by our office for a Q&A. Here's what they had to say. The first word that comes to mind when thinking about our business is colorful. The rugs we collect and are most passionate about are colorful. The people we sell to from all over the world, all aspects of society, are colorful. Like us, they're drawn to these beautiful works of art. We regularly travel throughout Turkey in search of rugs to add to our collection. We bring them to our store and present them to our visitors. We also work with producers and designers to consult on the styles or palettes requested by customers. 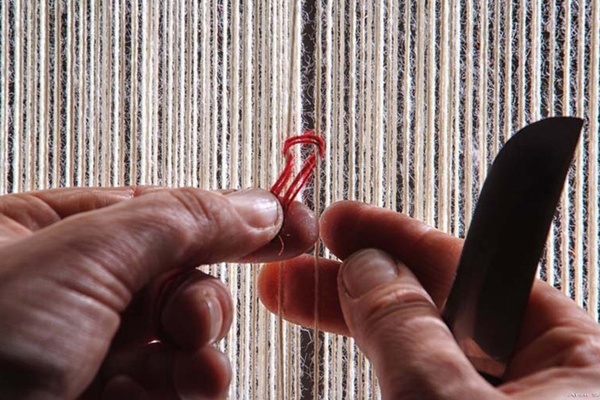 Furthermore, we work with local governments, providing fundamentals such as looms and funding to help develop local cottage industries in the eastern Turkish regions of Malatya and Adıyaman. Cengiz Korkmaz: At the very beginning, starting out as a young rug seller, I had many positive experiences meeting people and finding a common interest that led to friendship. This was one of the main reasons I decided to enter the carpet business long before we opened our shop. It continues to be a highlight of our job. After opening our first store, I was traveling in the south of Turkey and came across a small village in the mountains. Not having much experience yet, I met a family who kindly took me from door to door, introducing me to the villagers and encouraging me to choose rugs to take back to the city. The people we have met over the years complete the palette of our business. So what's the deal with Turkish rugs? What makes them so much better than other rugs? What differentiates Turkish rugs from others is the double-knot technique. The Ghiordes or Turkish knot, is a symmetrical knot that provides a very resilient weave. The more noticeable differentiating features, however, are the colors and designs. The rich, saturated colors, originating in natural plants and animals, work together with the intricate details and styles. These styles exhibit the wealth of variety and culture, from the flat weaves of the nomadic Yoruk tribes in the East, to the sophisticated swirls of the Hereke rugs made for the Ottoman palaces. Another feature that sets Turkish rugs apart from others are the willingness of artisans and manufacturers to keep up with the times. In the last 50 years, the craft of Turkish rug making has truly been reborn. The industry has been reinvigorated with investments in both design and production. The Turkish market has learned to listen and adapt the traditional styles to meet modern needs. This may mean shifting the palette or slightly modifying a design feature (called retouche) for a contemporary interior. What significance do Turkish rugs have in your country's history? How are rugs used in Turkey versus other countries? In Turkey, rugs were first woven by tribal groups to be used in tents. For example, the sofra, a square flat-weave, was used functionally as a table, bed, or even to cover bread to keep it fresh. Later, they became a sort of tablet upon which a young woman could write her feelings and express her dreams. As a part of our interest and education in rugs we travel a lot. One of the specific things we look at while visiting different countries is how rugs are used in that environment. Some cultures use rugs very functionally, simply as floor coverings. Others view them as art, hanging them on the wall like a painting. Still others put rugs on tables, throw them over sofas, and even use them as bedspreads in colder winter months. Tell us about the incredible history behind the Nakkas building. Directly underneath Nakkas is one of the most magical places in Istanbul. The is a beautifully preserved example of a 6th-century Byzantine cistern. Built during the reign of Emperor Justinian (527–565 AD), the cistern's interior reveals 18 marble columns supporting brick arches. Seven of the original marble columns have been reinforced during the Ottoman period and are now surrounded by brick and stone piers. We welcome everyone to come take a look. What is your craziest rug story? Six or seven years ago, we received a special order for a very large carpet with a very short deadline. After determining the palette and finalizing the design, we moved on to the next step of production. The rug required a very large loom and a team of six women weaving at one time. We decided we needed multiple shifts working on the rug in order to make the deadline. But ours is a cottage industry. Our production workshops are in villages and small towns, and the weavers are primarily women. Having three shifts meant that some of the women would be working at night. In the traditional setting of a Turkish village, this is not considered appropriate. We had to find someone to chaperone the women, and stay with them as they worked. Typically, in a family business, this role would fall to a brother or uncle. However, these women were not all from the same family. Any one brother or uncle would be a stranger to the other women. And no woman would come and work at night, in order to avoid any suggestion of impropriety. Our solution was to find two elderly men, more than 80 years old, who agreed to sit with the women as they worked! There was no question of impropriety, since they were seen as long past their prime, and the women were not at risk of unwanted attention. This was the only way we were able to schedule three shifts and get the rug woven in time. Sometimes using traditional techniques to make contemporary Turkish rugs requires unusual innovations. What should we do on our next trip to Istanbul? 1. Attend a soccer match: First go to a nice ocak bası (grill restaurant) to eat and drink, and then watch the match (or some of it at least)! This is a taste of real Turkish life. 2. Take the ferry to the very last stop at the top of the Bosphorus. It's called Anadolu Kavak. After a lovely boat trip you can see the Black Sea. There are many tasty seafood restaurants here, and it's a perfect place to enjoy fresh fish and a glass of rakı while gazing at the water. 3. In Uskudar, there is a wonderful flea market where we like to wander about. It's open all week and they sell a bit of everything. It's a very colorful place with lots of people about and a good way to see Istanbul life without the tourists. 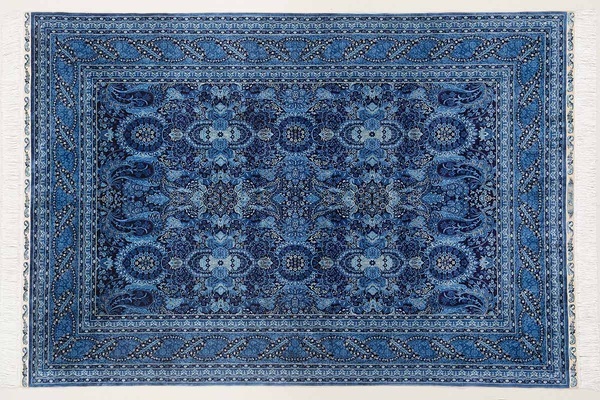 A carpet from Nakkas' new Byzantine line. What's next for Nakkas? Any new products on the horizon? Part of our interest in developing innovation in the rug business has led us to work with different production processes. 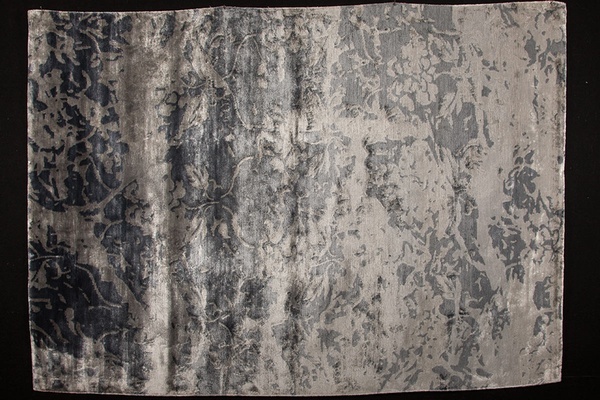 Last year we started a project in Nepal developing a new type of rug made to have a beautiful sheen. To make them more affordable, we used bamboo silk instead of cocoon silk. We recently received two samples and are really excited with how they turned out. We'll visit this spring to develop the project more fully. For now we're calling the line "Byzantine" because the designs took their inspiration from beautiful Byzantine textiles. How can the lovely people reading this get a rug from Nakkas? Come to Istanbul! Being here, touching the rugs, and seeing the colors in true Turkish light is a must. At , our large collection includes every color and design imaginable. And if you can't make it to Turkey, you can always . Visiting Istanbul and seeing the overwhelming number and variety of rugs can be confusing. Cengiz and Cengiz gave us a lesson on what to look for when buying your first Turkish rug. 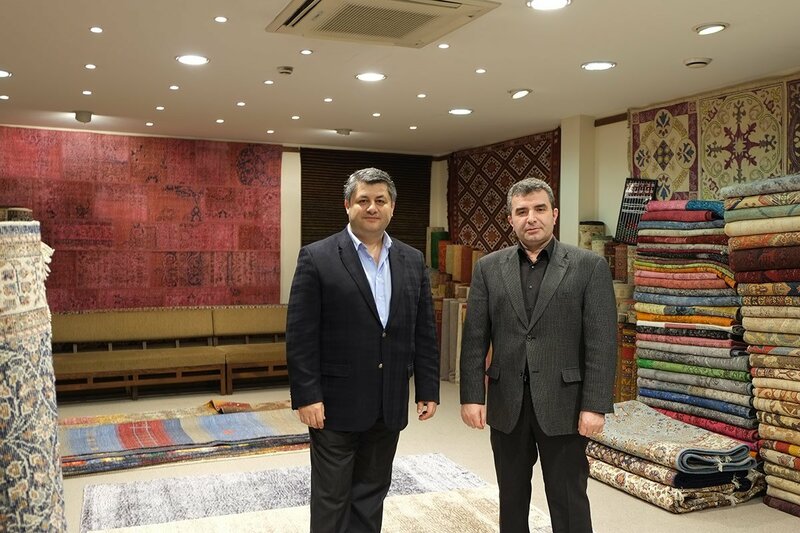 Cengiz and Cengiz are rug experts based in Istanbul. They own , home to an incredible collection of more than 20,000 of the finest hand-woven Turkish carpets and kilims. 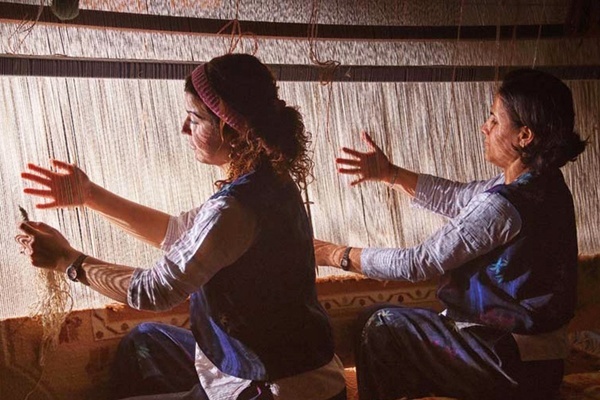 They travel for the pleasure of connecting visitors and customers with the art and craft of Turkish culture.